14 Aug 2017 – Fascist tendencies are back in broad daylight in Latin America. They can be clearly seen in the murderous Venezuelan opposition but also in the streets of Argentina and Brazil. These fascist tendencies are a consequence of the fact that economic inequality and political equality are incompatible, more so in a continent with such an unequal wealth distribution. However, Latin American fascism is also an expression of a deeper political and economic program that must be better understood if we want to defeat it. However, Latin American client or sub fascism has also a new face, one created to correspond to the political “soft coups”, a more ‘friendly” face. 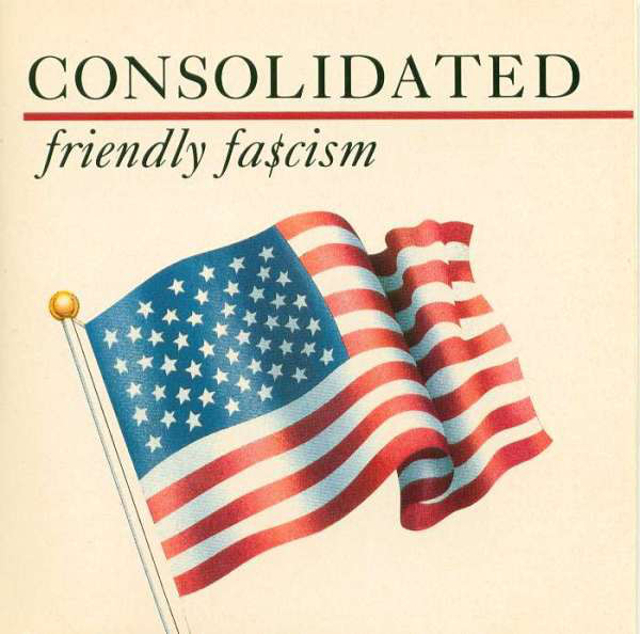 “Friendly fascism” is the title of a fundamental book on modern fascism by Bertram Gross published in 1980. Bertram Gross, a professor of political science and executive secretary to the US President’s Council of Economic Advisers from 1946 to 1952, was mainly concerned with the rise of ‘friendly fascism’ in the US – the ‘New Face of Power in America” as he put it – but what he saw at its beginning 37 years ago when the book was published, became the reality of great part of the world today, including Latin America. “The slow and powerful drift toward greater concentration of power and wealth” has reached unprecedented levels nowadays. According to an OXFAM report, just 8 men own same wealth as half the whole world. Such concentration of wealth creates a correspondent concentration of POLITICAL power in the hands of those benefiting most from it: the international corporations and financial sector. In turn, these imposed on most of the world the ‘corporatist serfdom” that Bertram Gross warned about. The second tendency pointed by Gross– groups and individuals seeking greater participation in public affairs – has been very strong in Latin America and was the main drive behind the election of the progressive Latin American governments, from Lula in Brazil and Evo Morales in Bolivia to Rafael Correa in Ecuador and Hugo Chavez in Venezuela. These progressive governments, facing difficult challenges and under very distinct social and economic constraints, aimed at building a ‘truer democracy”, at promoting more popular participation at higher decision levels and tried to achieve a more egalitarian wealth distribution. For this reason were all “bitterly fought” by the US and the international establishment. The Latin American country where this fight goes on with increasing violence is Venezuela. This new despotism , the ‘friendly fascism” that Bertram Gross saw and denounced at its beginning, is usually called by another name today, one with a much better reputation: neoliberalism. The dynamics of ‘friendly and unfriendly” fascism are the creation of the neoliberal policies. Thus the international corporations and financial complex, in their unceasing drive for more wealth and more power for their own benefit, will relentlessly try to impose on the world ‘friendly fascism’ wherever possible, and ‘unfriendly fascism” wherever needed. In this way the political spectrum is reduced to a choice between one and the other. Neoliberalism and friendly fascism are one and the same, and unfriendly fascism is just the darker face of neoliberalism when it needs to use less ‘friendly’ means to impose itself. A comparison between the coup d’état in Brazil and the current situation in Venezuela helps to explain the ‘friendly / unfriendly” fascism dynamics. In many of the street demonstrations against elected President Dilma Roussef in Brazil, the fascists were showing their traditional ‘unfriendly” face: violent, racist and homophobic. It was the relatively rapid installation of the impeachment process and the eventual fall of Dilma Roussef’s government that prevented street violence in Brazil to escalate to the levels that we see in Venezuela today. With the end of Dilma Roussef’s government, the violence in the streets had accomplished its aim and was no more needed. The ‘friendly fascism” of Michel Temer’s government -so much better to give legitimacy to the coup d’état -could take power and do what has always been the real aim of the coup: to destroy the social conquests and policies of the previous Worker’s Party (PT) governments’; privatize state assets, open the country’s oil reserves and other natural resources to the exploitation of foreign companies. Venezuela is one of the richest countries in the world, not only in oil but also in gas and other natural resources. Hugo Chavez and the Bolivarian Revolution were committed to use these riches for Venezuela’s own development, in the benefit of its own population, the fundamental crime against the neoliberal order. The failed coup d’état backed by Washington in 2002 showed that destabilizing Venezuela wouldn’t be an easy task – the second trend pointed by Bertram Gross is far too strong in Venezuela to allow a ‘soft coup” to take place. “Friendly fascism” in Venezuela is not an option, at least for now: the social conquests and policies of the Bolivarian Revolution are too deeply rooted in Venezuelan society; in fact, they are the result of their commitment and their political struggle and they will defend it to the very end. In Venezuela the neoliberal establishment, so eager to put its hands in all the natural riches of this country, chose to support ‘unfriendly fascism’. This is the part of the Venezuelan opposition that seems to be obediently following Hitler’s advice in ‘Mein Kampff”: “The very essential for success is a perpetually constant and regular employment of violence” The international mainstream press, always the servants of established power, praises this choice. The dynamics of ‘friendly/ unfriendly’ fascism can be so resumed: the greater the popular participation in the government of a country, the stronger its democracy and the determination to use its own wealth for its own development; then the more necessary it will be the use of “unfriendly fascism’ to fight against it. In the Orwellian world we live today, under ‘corporatist serfdom’, attacking democracy is called ‘defending democracy’, US style. Mainstream press applauses. If the opposition had been doing what is does against a US-supported regime, would we then had seen that term?